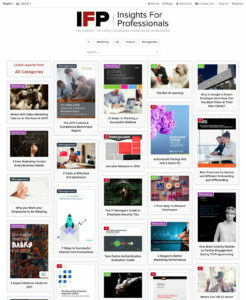 Insights For Professionals is a unique knowledge hub for those working in Marketing, Finance, Management, HR and IT. They provide numerous how-to guides and in-depth white papers from internationally-recognised experts, as well as publishing regularly updated blog posts for each area of specialisation. IFP has ambitions to reach a worldwide audience, and with our assistance their online authority is rapidly growing. Being active on LinkedIn should be a prerequisite for every B2B operator, as targeted audiences participate in group discussions – sharing best practice advice or asking for help – presenting you with an opportunity to showcase expertise and work the virtual room. As such, committed social media marketing can certainly pay dividends, and LinkedIn is where we first came across Insights For Professionals (IFP). Ross Howard, the Editor at IFP, posted a message in the Content Strategy group – home to a cohort of 30,000 members – asking for recommendations of a reliable and reasonably priced B2B content agency. He was inundated with responses, but instead of simply adding our name to the list we picked up the phone and gave him a call. We were looking for potential new partners to generate content results for us, producing high-quality articles targeting each of our business communities. Magnus was the only one who proactively responded by calling me, which was very helpful and we had a positive chat about Bespoke Digital’s experience. I had a content strategy in place and had already built up a bank of blog posts to start publishing in the new year, but we were lacking in detailed articles on more technical subjects, such as IT security and Cloud disaster recovery. Initially, this is where we wanted to focus our partnership with Bespoke, but the conversation soon moved onto raising brand awareness and improving our Domain Authority. Ross had been putting the foundations in place to establish IFP as a hotbed of activity for each of their target markets, curating a number of authoritative articles to attract new website visitors. We stepped in by writing some more technical articles, such as Is your company ready for the big ISDN switch-off? and Superior Security Management for BYOD in the Workplace, as well as writing thought leadership pieces for their Marketing and HR sections. When looking to build an audience and establish your website’s authority, producing well-written, detailed, SEO-friendly content is crucial for onsite optimisation – ensuring that you extend your reach by ranking highly in the SERPs. Once these building blocks are in place you can move onto the next phase of our recommended content marketing strategy and submit guest articles to other authoritative websites that are relevant to your niche (or niches, in the case of IFP). It helps grow an audience, putting your thoughts in front of key demographics. It gives you great material to share on social media, adding credibility to your brand and further extending your reach. If a third-party publishes a citation link back to your website, you’ll benefit, in part, from their authority. Search engines read backlinks as ‘recommendations’, so whenever a high-authority site links to you, some of their authority flows through to your site, giving you a healthy bump in the search results and enhancing your own DA. We were very keen to start publishing on industry-leading websites for each of the fields we operate in, growing our audience and getting some ‘link juice’ flowing back our way. There’s been lots of social engagement on these articles, which is reassuring from a brand point of view, and we’ve received a fair amount of referral traffic as well, so people are really paying attention to what we’re doing. Pushing the link authority back to us in a sustainable way is the idea, otherwise we’d end up talking to ourselves in an echo chamber, and the subscriber feedback we’ve had on the content has been really positive, with lots of people clicking from blog post to blog post. Investing in the premium quality outreach articles from Bespoke has definitely worked. They’ve helped us with the business subjects that are hard to tap into, and not many people are very good at that. The articles consistently make salient points with strong references, and that’s where we can show real value that’s not behind a landing page gate. 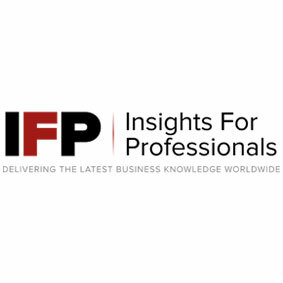 After researching the best publishing sites for IFP’s target sectors, we started pitching informative articles that would appeal to each distinct audience, taking care to ensure that every piece could naturally link back to content already on the IFP site, securing valuable backlinks and encouraging readers to click-through. Magnus isn’t pushy at all, and he gives us an awful lot of consultancy for free – advising on what we should do to move our project forward, but being honest about what his strengths are and not taking on work outside of the original remit of content marketing and SEO. He shows a genuine interest in what we’re trying to achieve, which is always a nice way to work with somebody, and that’s why I trust him. If you’re keen to hear more about our work and how we can help you achieve your content marketing goals, please give us a call on 0117 230 6010 or complete our contact form.